Kevin Chief brings an expertise of community development and leadership training through his dedication to education, culture, training, and recreation. Over the years, Kevin has held positions with the River East Transcona School Division, Winnipeg Aboriginal Sport Achievement Centre, and University of Winnipeg. 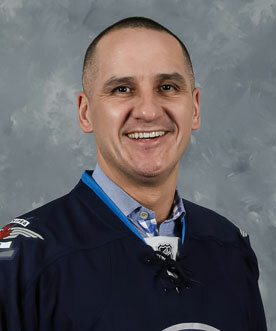 Chief was instrumental in creating the partnership between the Winnipeg Aboriginal Sport Achievement Centre and The Manitoba Moose Yearling Foundation to implement a hockey initiative for students who may not have received the opportunity otherwise. Chief received a B.A. from the University of Winnipeg with a major in Justice and Law Enforcement and a minor in Physical Activity and Sport Study. Kevin is also a sought after speaker for his views on the importance of education and leadership development within Winnipeg and Manitoba. For his efforts, Chief was awarded the Future Leaders of Manitoba Award for Community Service reflecting his vision and commitment to influence positive change in the community.